1 Charleston News and Courier (Charleston, South Carolina), 29 DEC 1946, Obituary for Harriet M Thomas, GenealogyBank.com. 2 Federal Census, OH, Darke County, 1880, German, E.D. 59, p. 30, Image 24 of 32, Ancestry.com (Online Census Images). 3 Federal Census, OH, Darke County, 1870, Neave, p. 14, Image 16 of 30, Ancestry.com (Online Census Images). 4 Find A Grave, (accessed 04/03/2016). 5 History of Darke County, Ohio, From Its Earliest Settlement to the Present Time, Vol. 2, Milford, Ohio: The Hobart Publishing Company (1914), 361, 374, Google Books (Digital Library). 6 New England Historical and Genealogical Register, (New England Historic and Genealogical Society), 1982, Vol. 136, p. 330. 7 U.S. National Cemetery Interment Control Forms, 1928-1962, Interment card for spouse Harry G Thomas, Ancestry.com (Online Database). 8 U.S. Passport Applications, 1795-1925, 04 AUG 1920, Application for Hattie May Thomas, Ancestry.com (Online Database). 9 U.S., Consular Registration Applications, 1916-1925, Application for spouse Harry G. Thomas, Ancestry.com (Online Database). 10 U.S., Sons of the American Revolution Membership Applications, 1889-1970, SAR #53328, Application for Lowell Thomas, Ancestry.com (Online Database). 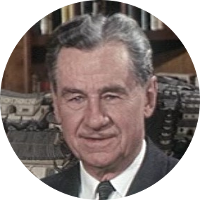 11 Wikipedia, "Lowell Thomas", (accessed 04/03/2016).